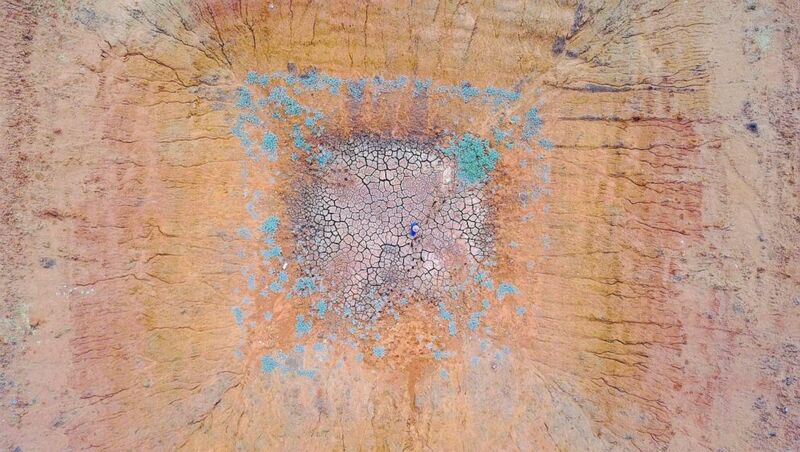 From ground level, Australia‘s drought looks like a featureless, brown dustbowl, but from the air it transforms into an artistry of color and texture as the land cracks under a blazing sun. 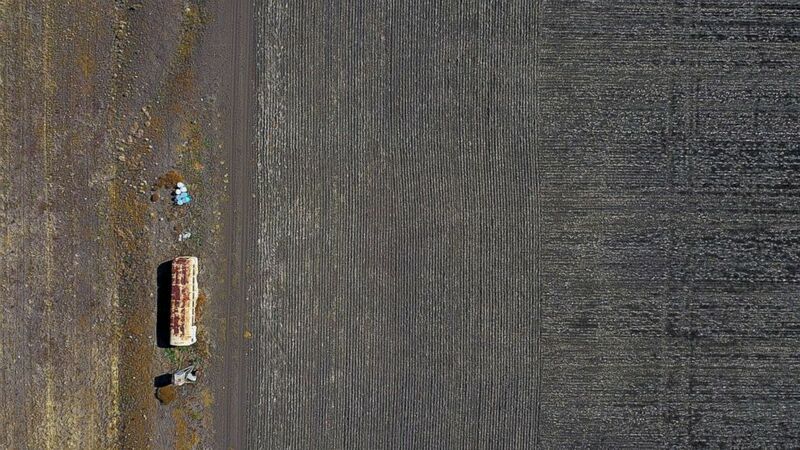 An old bus used for storing farming equipment stands in a drought-effected paddock on a property located west of the town of Gunnedah in New South Wales, Australia, June 3, 2018. 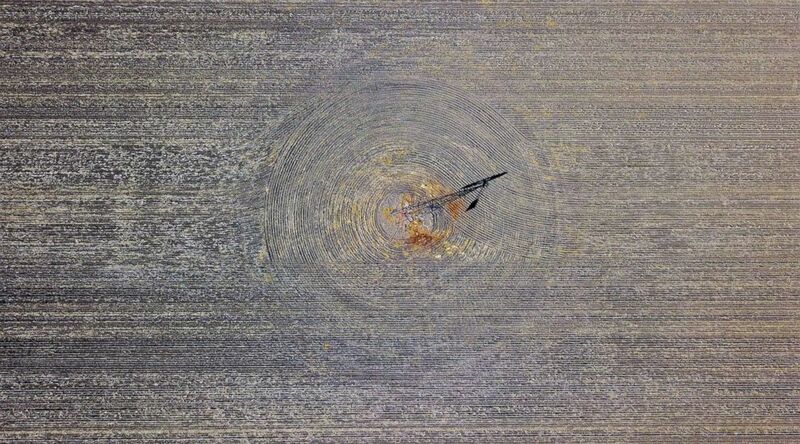 Patterns can be seen in a drought-effected paddock created by a plough on a property located west of the town of Gunnedah in New South Wales, Australia, June 3, 2018. But for farmer Ash Whitney, there is no such beauty, just blood, sweat and tears as he struggles to feed his cattle, cutting the drying branches of Kurrajong trees — a last resort during the worst of droughts. 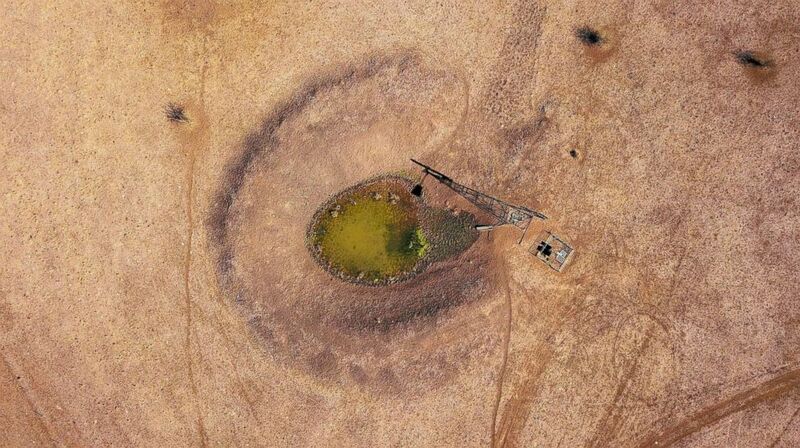 A windmill and solar panels stand next to a dam in a drought-effected paddock on farmer Scott Cooper’s property named South Park located east of the town of Gunnedah, in New South Wales, Australia, July 21, 2018. 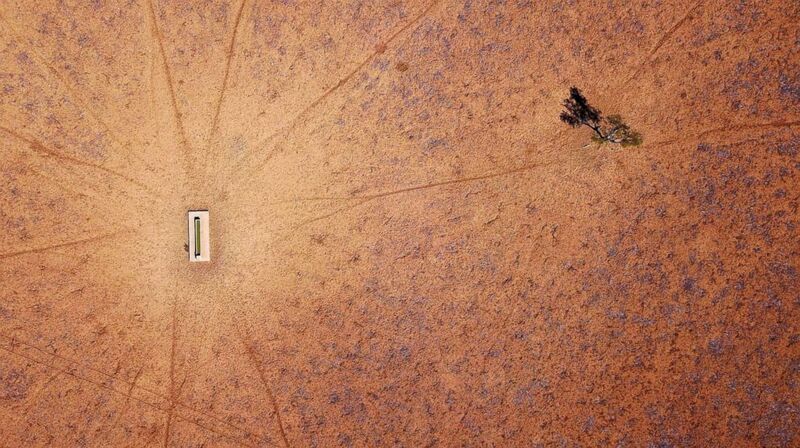 A lone tree stands near a water trough in a drought-effected paddock on Jimmie and May McKeown’s property located on the outskirts of town of Walgett, in New South Wales, Australia, July 20, 2018. Farmer Ash Whitney stands in the middle of a dried-up dam in a drought-effected paddock on his property located west of the town of Gunnedah in New South Wales, Australia, June 3, 2018. A quarter of Australia’s agricultural production by value is grown in NSW and the state government has offered more than $1 billion in emergency funding to farmers. It announced the latest tranche — $500 million — on July 30. 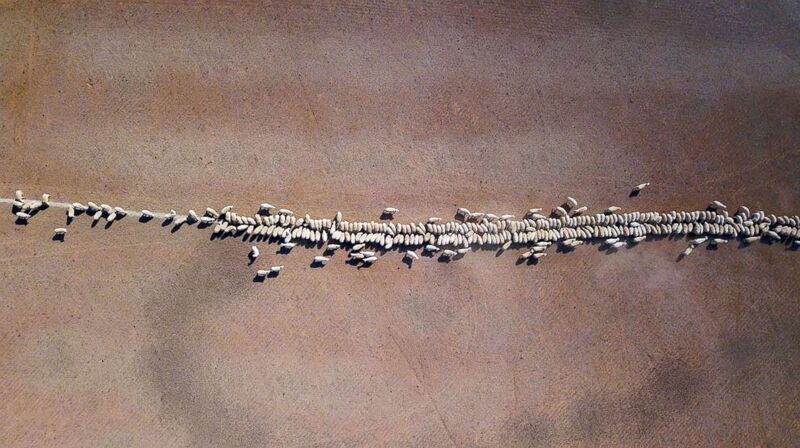 Sheeps eat grain dropped in a drought-effected paddock on a property located on the outskirts of Tamworth, in New South Wales, Australia, June 2, 2018.